1.2 μJ pulses with average power of 9 W were directly generated from a passively mode-locked picosecond oscillator based on a Nd:GdVO4 bulk crystal. Short cavity operation in continuous wave and mode-locking regimes was conducted first to confirm the resonator performance and proper alignment. With a carefully calibrated q-preserving multi-pass cell inserted into the laser cavity, the cavity length of the original short cavity was extended while the mode-matching condition was maintained fairly well. Compared with the short cavity, nearly fivefold energy enhancement was achieved while the diffraction-limited beam quality was undisturbed. To the best of our knowledge, this is the highest output power ever produced from a mode-locked oscillator based on a single bulk crystal at a repetition rate below 10 MHz without cavity dumping. A. Major, V. Barzda, P. A. E. Piunno, S. Musikhin, and U. J. Krull, “An extended cavity diode-pumped femtosecond Yb:KGW laser for applications in optical DNA sensor technology based on fluorescence lifetime measurements,” Opt. Express 14, 5285–5294 (2006). S. Leveque-Fort, D. N. Papadopoulos, S. Forget, F. Balembois, and P. Georges, “Fluorescence lifetime imaging with a low-repetition-rate passively mode-locked diode-pumped Nd:YVO4 oscillator,” Opt. Lett. 30, 168–170 (2005). L. Zhao, D. Tang, X. Wu, and H. Zhang, “Dissipative soliton generation in Yb-fiber laser with an invisible intracavity bandpass filter,” Opt. Lett. 35, 2756–2758 (2010). D. Herriott, H. Kogelnik, and R. Kompfner, “Off-axis paths in spherical mirror interferometers,” Appl. Opt. 3, 523–526 (1964). A. Sennaroglu and J. G. Fujimoto, “Design criteria for Herriott-type multi-pass cavities for ultrashort pulse lasers,” Opt. Express 11, 1106–1113 (2003). A. Sennaroglu, Solid-State Lasers and Applications (CRC Press, 2007). A. Mostafazadeh, H. Cankaya, and A. Sennaroglu, “Pulse energy optimization in multipass-cavity mode-locked femtosecond lasers,” IEEE J. Sel. Top. Quantum Electron. 21, 1100408 (2015). R. P. Prasankumar, Y. Hirakawa, A. M. Kowalevicz, F. X. Kaertner, J. G. Fujimoto, and W. H. Knox, “An extended cavity femtosecond Cr:LiSAF laser pumped by low cost diode lasers,” Opt. Express 11, 1265–1269 (2003). C. Cihan, A. Muti, I. Baylam, A. Kocabas, U. Demirbas, and A. Sennaroglu, “70 femtosecond Kerr-lens mode-locked multipass-cavity Alexandrite laser,” Opt. Lett. 43, 1315–1318 (2018). A. Sennaroglu, A. M. Kowalevicz, F. X. Kaertner, and J. G. Fujimoto, “High, performance, compact, prismless, low-threshold 30-MHz Ti:Al2O3 laser,” Opt. Lett. 28, 1674–1676 (2003). H. Cankaya, J. G. Fujimoto, and A. Sennaroglu, “Low-threshold, 12-MHz, multipass-cavity femtosecond Cr4+:forsterite laser,” Laser Phys. 19, 281–284 (2009). V. Z. Kolev, M. J. Lederer, B. Luther-Davies, and A. V. Rode, “Passive mode locking of a Nd:YVO4 laser with an extra-long optical resonator,” Opt. Lett. 28, 1275–1277 (2003). B. Luther-Davies, E. Gamaly, A. 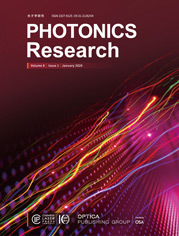 Rode, V. Kolev, N. Madsen, M. Duering, and J. Giesekus, “Applications of high power slow mode-locked lasers for ablation and non-linear optics,” Proc. SPIE 5448, 432–440 (2004). Y. Ruan, B. Luther-Davies, W. Li, A. Rode, V. Kolev, and S. Madden, “Large phase shifts in As2S3 waveguides for all-optical processing devices,” Opt. Lett. 30, 2605–2607 (2005). G. I. Petrov, N. I. Minkovski, and V. V. Yakovlev, “High-energy ultrashort laser pulses from a simple oscillator and their efficient frequency conversion,” Proc. SPIE 5332, 55–62 (2004). C. J. Saraceno, F. Emaury, C. Schriber, M. Hoffmann, M. Golling, T. Sudmeyer, and U. Keller, “Ultrafast thin-disk laser with 80 μJ pulse energy and 242 W of average power,” Opt. Lett. 39, 9–12 (2014). A. V. Rode, N. R. Madsen, V. Z. Kolev, E. G. Gamaly, B. Luther-Davies, J. M. Dawes, and A. Chan, “Subpicosecond and picosecond laser ablation of dental enamel: comparative analysis,” Proc. SPIE 5340, 76–86 (2004). B. Luther-Davies, A. V. Rode, N. R. Madsen, and E. G. Gamaly, “Picosecond high-repetition-rate pulsed laser ablation of dielectrics: the effect of energy accumulation between pulses,” Opt. Eng. 44, 051102 (2005). E. G. Gamaly, N. R. Madsen, M. Duering, A. V. Rode, V. Z. Kolev, and B. Luther-Davies, “Ablation of metals with picosecond laser pulses: evidence of long-lived nonequilibrium conditions at the surface,” Phys. Rev. B 71, 174405 (2005). P. Gao, H. Lin, J. Li, J. Guo, H. Yu, H. Zhang, and X. Liang, “Megahertz-level, high-power picosecond Nd:LuVO4 regenerative amplifier free of period doubling,” Opt. Express 24, 13963–13970 (2016). B. Luther-Davies, V. Z. Kolev, M. J. Lederer, N. R. Madsen, A. V. Rode, J. Giesekus, K. M. Du, and M. Duering, “Table–top 50-W laser system for ultra-fast laser ablation,” Appl. Phys. A 79, 1051–1055 (2004). U. Wegner, J. Meier, and M. J. Lederer, “Compact picosecond mode-locked and cavity-dumped Nd:YVO4 laser,” Opt. Express 17, 23098–23103 (2009). P. Gao, J. Guo, J. F. Li, H. Lin, and X. Liang, “34.7 μJ, < 10 ps, megahertz-level laser output based on a cavity-dumped mode-locked Nd:GdVO4 oscillator,” Opt. Express 23, 17995–18001 (2015). C. Gerhard, F. Druon, P. Georges, V. Couderc, and P. Leproux, “Stable mode-locked operation of a low repetition rate diode-pumped Nd:GdVO4 laser by combining quadratic polarisation switching and a semiconductor saturable absorber mirror,” Opt. Express 14, 7093–7098 (2006). H. Lin, J. Guo, P. Gao, H. Yu, and X. Liang, “High power, diffraction limited picosecond oscillator based on Nd:GdVO4 bulk crystal with σ polarized in-band pumping,” Opt. Express 24, 13957–13962 (2016). V. Magni, “Resonators for solid-state lasers with large-volume fundamental mode and high alignment stability,” Appl. Opt. 25, 107–117 (1986). A. M. Kowalevicz, A. Sennaroglu, A. T. Zare, and J. G. Fujimoto, “Design principles of q-preserving multipass-cavity femtosecond lasers,” J. Opt. Soc. Am. B 23, 760–770 (2006). Fig. 1. Schematic of the passively mode-locked picosecond oscillator extended with a q-preserving MPC. The insets show spot patterns on the MPC mirrors. Fig. 2. Output performance of three different operation regimes. Fig. 3. Oscilloscope trace of the pulse train at a repetition rate of 7.7 MHz. Fig. 4. Radio frequency spectrum of the oscillator (a) at the fundamental beat note with a resolution bandwidth of 1 kHz, and (b) at the 100 MHz wide span range with a resolution bandwidth of 100 kHz. Fig. 5. Measured autocorrelation trace, assuming a Gaussian-shaped pulse; inset shows the optical spectrum of the output pulses. Fig. 6. Beam quality and far-field beam profile. Fig. 7. Power stability of the oscillator output at full pump power.